Mary Ann San Juan is the only Filipino librarian who can claim to have worked for more than 33 years in public libraries in what is now known as the City of Toronto. She is currently Library Service Manager responsible for four branches of the Toronto Public Library. She immigrated to Canada in 1972 as Mary Ann Salcedo, her maiden name, with an undergraduate degree in foreign service from the University of the Philippines, and obtained her master's degree in library science at the University of Toronto in 1976. She turned 60 this year, but she doesn't look like she's slowing down. She is a dragon boater who has competed in local, national and international races, including the last three World Dragon Boat Racing Championships. At the 2009 championship, held in Racice, Czech Republic, she was part of the Canadian women's team that won gold in all its races. The photo above was taken at the Filipino Centre Toronto. For more about Filipino librarians in Canada, see "Filipino Librarians in Vancouver" and "Filipino Librarians in Toronto." I remember how it felt to be a child. All the family will be here in just a while. I hope daddy gets here first to build the fire. He's the only one who has that special touch. And my grandma who I love so very much. On this evening in December. Sometimes out on the road it gets so lonely. 'Cause I miss those special people I hold dear. At least for this one night we'll all be here. How the children love this evening in December. And I feel the love of those who've gone before. Until we all come back next year. Are you thinking of giving books as Christmas gifts? Or maybe you're a librarian who's been assigned to an unfamiliar subject area and you need to know what are considered the newest and best books in that discipline? Well, the list of this year's National Book Award winners and finalists can be very helpful in choosing gift books or learning more about the best books in a subject area. If you're interested in previous winners, take a look at the National Book Development Board's searchable list of award-winning books published from 1980 to 2008. You can also check out the Manila Critics Circle website, which lists winners by category and in chronological order until 2005. "Galing Pinoy, Basahin!" is the theme of this year's celebration of Philippine Book Development Month (PBDM). The Tagalog word "galing" may be pronounced two ways and has two different meanings. The first may be translated as "talent," while the second, "from." Thus, the theme could be "Read Pinoy Talent!" or "Read [Books] From Pinoys!" There's more information about the different activities being held, including the awarding ceremonies for the National Book Awards, on the website of the National Book Development Board (NBDB). But actually, PBDM is not the only thing happening in November. Long before PBDM was moved from June to November to coincide with National Book Week (NBW), it was already Library and Information Services Month (LISM). Unlike PBDM, however, there doesn't really seem to be any central location where information about NBW or LISM can be found easily. The National Library's website has been down more than it's been up since I first thought of becoming a librarian in 2002, and while the fact that it has a wiki is encouraging, it doesn't really provide much useful information beyond address, contact numbers and library hours. Is it really that hard to get a website to work or update a wiki? The Quezon City Public Library, in contrast, provides a list of events for all its branches, branch locations with maps, and even regular newsletters. It seems rather odd that while the sponsor of the first event actually has its own website and wiki, information about the event is circulating only via email, and so questions get asked and requests are made over and over again. The sponsors of the other two events, meanwhile, do not even seem to have their own websites, and details are just disseminated through the kindness of interested parties. This post was really just supposed to be an announcement about important events taking place in November, but I just couldn't help letting out some of the disappointment I'm feeling about the way these events are being publicized. NBDB has gotten much savvier at promoting its activities since I first blogged about its website, but all the others seem to be pretty much where they were before. Finally, there's what I wrote last year in Book Development Month 2008: "It is rather unfortunate, however, that there does not seem to be much evidence of synergy or cooperation between the different groups behind PBDM and NBW/LISM." Not much, it seems, has changed since then. I was finally able to watch In My Life, in which Vilma Santos plays a librarian, and about which I've already blogged in "'Losyang' Librarian?" Perhaps the significance of this film to Filipino librarians may be seen in the fact that my post has already attracted 32 comments, a number which very few of my posts about Filipino librarians have ever reached. This post will not really be a review of the film, but I do have to say that In My Life, though it is the usual sigawan-iyakan-sampalan (shouting-crying-slapping) Filipino film, was not quite as formulaic as others I've seen in the past. The most striking non-formulaic element was the no-big-deal treatment of the homosexual relationship between the character played by Santos' real-life son, Luis Manzano, and his boyfriend, portrayed by John Lloyd Cruz. There is some tension, of course, that arises because of their relationship, but the film itself is not primarily about the mother coping with her son's sexual orientation. It must also be said that the movie is not about librarians. The scenes that show Santos as a librarian in a library come and go in five minutes, probably less. Very little is said about her occupation later in the film. Perhaps the most prominent reference to her being a librarian—which most viewers probably missed—was when she actually shushed her co-workers at a restaurant. I can understand why the director and her co-writers thought it might be appropriate to have Santos play a librarian. After all, if Santos is shown as a stereotypical librarian at the beginning—i.e., organized, conservatively-dressed, cranky—then it will be much easier to show how she has evolved into a more relaxed, fashionable, and happier person at the end of the film. While I agree that such a portrayal perpetuates the librarian stereotype, it must be remembered that stereotypes exist because they are reinforced by what exists. 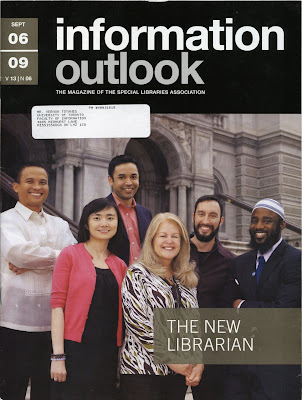 Some Filipino librarians insist that librarians have changed or that there are no losyang (unglamorous) librarians, but I honestly wonder whether they are in denial or merely confusing the word some with all. Not all librarians, of course, are losyang, but I have met more than enough Filipino librarians—i.e., organized, conservatively-dressed, cranky—to know that the filmmakers were not inventing a non-existent librarian. Having said that, I do have a problem with how this librarian, who was shown as having an assistant and was important enough to have a salesman try to get her approval, could later turn into a helpless employee working odd jobs. Whatever the stereotype may be, someone who becomes head librarian at a school will, at the very least, know that she should try getting an entry-level job at a library or a similar environment before she seeks work in a restaurant where she doesn't even know the names of the dishes being prepared. I'd like to thank my loyal and occasional readers for inspiring me to keep this blog going. What do I get out of it? Well, I do earn some money from those who click on the ads, but more importantly, blogging forces me to keep up with what's going on in Philippine librarianship. There's also the added satisfaction of seeing a comment every now and then thanking me for a post that I wrote... or even having a post cited on GMA News! And then there are Filipino librarians like Jay dela Cruz, who surprised me recently by sending a new header for my blog out of the blue. Yes, it's the one up right now. Thanks, Jay! Send "CHIKKARC L3" as a text message to 2929 (presumably only for those with Philippine prepaid or postpaid plans). You can vote until 7 October 2009. Note that each text message will cost P2.50 and is equivalent to TWO votes. I have no idea whether any cash prizes will be given away, but if this blog wins in either category, I promise to donate any cash award in full to one of the funds set up for the victims of Typhoon Ondoy. And don't worry, I have a track record when it comes to keeping my promise to give money away (see "Katas ng 'Kapamilya Deal or No Deal'"). Books should be sorted out based on the amount of salvage work needed, as well as level of priority. It is generally more efficient to work on the least damaged than on the wettest materials. If the book is only damp, it can stand upright with covers and pages fanned in a cool, dry place to air dry. Use electric fans to increase air circulation, but fans should not be directly positioned on the books. If the book is wet, it will probably need to be cleaned before being dried. Use either running water or a cycling process with about 4-8 wash basins filled with water for closed books. Don't use a brush; use a sponge to clean. And books should not be rubbed. The water should be doing almost all of the cleaning. The above guidelines are intended as an initial response to the disaster. More and detailed treatment methods may be required depending on the severity of the damage. When planning the recovery, it's important to keep in mind that often there is no one "best solution"; instead, several different methods may be the answer. And that's why I'm not all that surprised that not much has been posted online regarding the damage wrought by Typhoon Ondoy on libraries. It makes perfect sense, after all, that food and shelter for those affected by the flooding should be the first priority. But I do wonder, however, why librarians haven't been more active in spreading the word about what happened to their libraries. 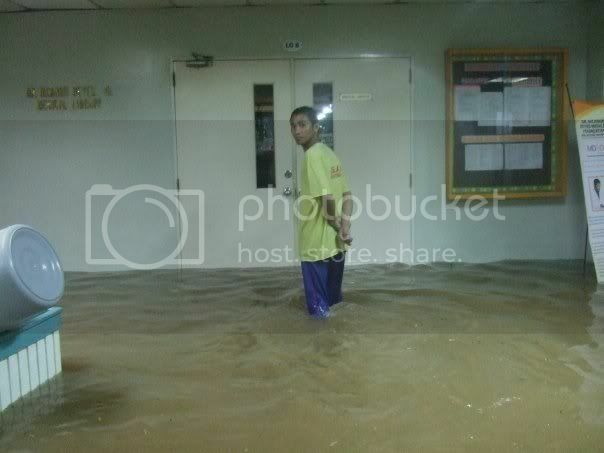 The only library-related photo I've found, for instance, is the one above—and it was posted by a non-librarian. There are probably many reasons for their silence, including the possibility that they are actually too busy dealing with the fall-out of this disaster in their personal and professional lives. But I would urge those who are in a position to spread the word about the state of libraries—whether their own or those of others—to speak up, and to do it online. There are many people who are willing to help, but unless they are aware that their help is needed, it is unlikely that they will volunteer their assistance. Igor Cabbab has created a Google Docs spreadsheet that provides information on the extent of damage to specific libraries, contact persons, assistance needed, photos AND can be updated by just about anyone with access to the Internet. One important reason for documenting the damage is that after the basic needs of typhoon victims have been taken care of, it is very possible that donors will assume that nothing else has to be done. Once the urgency passes, I am afraid that library collections and facilities built up over several years or even decades will be neglected, and the minimal access that Filipinos have to libraries will be reduced even further. So librarians must speak up about the damage to their libraries. This is a good time to ask for books, computers, furniture, etc. On the personal side, it would be good to see the different library associations organize ways to assist librarians who were severely affected by Typhoon Ondoy. Zarah Gagatiga has already stated the ways in which her family has suffered because of this disaster, and I sincerely doubt whether she is the only one. Thanks to my friend David McBee for scanning the cover and posting it online. House Bill No. 6770, filed by blogger-turned-legislator Mong Palatino on 2 September 2009, seeks to amend Republic Act No. 7743, which provides for the establishment of "public libraries in every congressional district, city and municipality, and reading centers in every barangay throughout the Philippines." Senate Bill No. 1387, filed by Loren Legarda on 26 July 2007, is much older and shorter than HB 6770, but is not really all that different. HB 6770: IN ORDER TO PROVIDE FUNDS NECESSARY FOR THE IMPLEMENTATION OF THE ELECTRONIC LIBRARY SYSTEM, THE BUDGET OF THE NATIONAL LIBRARY SHALL BE INCREASED IN THE AMOUNT OF TWENTY MILLION PESOS (P20,000,000.00) PER YEAR UNTIL ALL CITIES AND MUNICIPALITIES IN THE PHILIPPINES ARE PROVIDED FOR AND HAVE ACCESS TO FULLY ELECTRONIC LIBRARY FACILITIES. SB 1387: IN ORDER TO PROVIDE FUNDS NECESSARY FOR THE ELECTRONIC LIBRARY SYSTEM TO BE IMPLEMENTED, THE BUDGET OF THE NATIONAL LIBRARY SHALL BE INCREASED IN THE AMOUNT OF FIVE MILLION PESOS (P5,000,000.00) PER YEAR UNTIL ALL CITIES AND MUNICIPALITIES IN THE PHILIPPINES ARE PROVIDED AND HAVE ACCESS TO FULL ELECTRONIC LIBRARY FACILITIES. There are some differences in phrasing and the amount, but it is clear that the increase in budget is intended for the implementation of the electronic library system. I'm not quite sure how the system works, but I hope it is still possible to revise these drafts with input from librarians. Finally, while the draft bills seem to be an improvement on RA 7743 because the National Library's budget is to be increased by specific amounts, I am not optimistic that the amended republic act, if it is ever signed into law, will ever be implemented. Why? It is not clear where the money is supposed to come from. In contrast, Republic Act No. 9521 or the "National Book Development Trust Fund Act" states that the funds required will be taken from a specific source and how it will be managed. Without such provisions, those drafting the annual appropriations bill can choose to ignore it. Just as RA 7743 has been ignored since 1994. Reviews of In My Life have already begun appearing in newspapers and blogs. While most mention that Vilma Santos plays a librarian, very few actually comment on it except to say that she's strict. Fortunately, there's "They’re called the net generation librarians" by Ronald Lim (Manila Bulletin, 19 September 2009), which I hope will be read by a few people who watched In My Life (and not just because my name is mentioned!). In My Life, which stars Vilma Santos as a librarian, opens on September 16 and, predictably enough, articles about the film are beginning to appear. In "Direk Olive's 'In My Life' is bold and fresh," by Walden Sadiri (Manila Bulletin, 2009), its director Olive Lamasan is quoted as saying that she helped Santos "rehearse how a librarian walks and looks 'losyang.'" If this were an article for a scholarly journal, I suppose some questions that could be asked are: Is there such a thing as a "librarian walk"? Are all librarians losyang (Tagalog slang for unglamorous)? But it probably isn't fair to ask such questions of an article that only seeks to promote the release of a soon-to-be shown film. I think it's important to remember that Lamasan is talking about a specific character in a particular film. And that it would be a mistake to focus only on this one phrase in the 20-paragraph article or judge the entire movie based on how the librarian is portrayed. I don't think there was any intention to characterize ALL librarians as losyang. But we also cannot deny that this stereotypical librarian exists. I look at the photo above and remember that more than a few librarians I've met dress exactly that way. Should the director perhaps have made sure that all kinds of librarians were represented in her film? It's not her responsibility to do so and that's not really how movies are made. 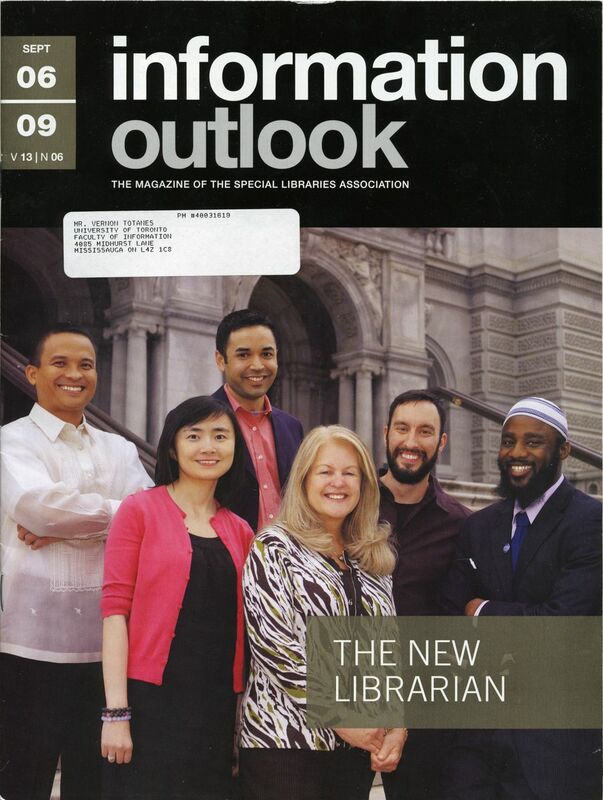 An article entitled "It's hip to be a librarian" appeared in the same newspaper last month. A few weeks before that, the influence of Reynaldo G. Alejandro as a librarian on a young boy was specifically mentioned by the grown journalist who benefited from his guidance. It is my hope that more journalists will consider doing more stories about non-stereotypical librarians on TV and in print. And that librarians will be more conscious about promoting their profession as well. The last time I reviewed a film that I saw at the Toronto International Film Festival (TIFF), I wrote that, "Maybe next year, with more money, I'll be able to watch more movies, including non-Filipino ones." Well, that was three years ago, when I saw Kubrador and Twilight Dancers. I still don't have enough money to watch more than the two Filipino films at TIFF this year (and I'm still thinking real hard about watching Independencia), but I'm very happy that I saw If I Knew What You Said at its international premiere. Anyway, what I really liked about this film was that it's different in so many ways. There is, of course, the story. "Boy meets girl" is probably the oldest story in the world (remember Adam and Eve? LOL! ), but I've never seen one where the boy, Kiko (Rome Mallari), is deaf AND breakdances. The girl, Niña (Zoe Sandejas), is a rocker and a troublemaker (or is that redundant? ), which is not so unusual, but when you put that together with the boy's situation, the fact that they even meet is really extraordinary. And no, they did not first set eyes on each other across a crowded concert hall. It happened at a police station. Go figure. But more than the story, there's the treatment. It's very restrained. Unlike most Filipino dramas, this one has none of the usual sigawan-iyakan-sampalan (shouting-crying-slapping) scenes that are to the Philippines what song-and-dance numbers in Bollywood films must be to India. For instance, just when I expected Niña's father—whose face is never shown—to start slapping her around, the door closed and... fade out. Then there's the use of sign language. It's not in-your-face, where one character says, "This is the sign for..." The few important signed words in the film—friend, dad, mom, sorry—were introduced so naturally that when the payoffs arrived, it did not really occur to me to think that the writer had been setting up the audience for future scenes. I found it really ironic that I thought I had an edge over the non-Tagalog speakers in the audience because I could understand the dialogue and read the English subtitles. But when entire conversations were carried out with no dialogue (sometimes with no subtitles at all), it really brought home the meaning—in more ways than one—of "actions speak louder than words." The film also helped me understand the world of the deaf a little bit more, without feeling as if I attended a session on political correctness. Some of it was funny, like when some deaf students noisily sneaked out of their dorm, not realizing that they were lucky no one was around to hear the racket they were making. The rest of it was not funny, like people automatically assuming that just because a person is deaf that s/he can't read, write, dance, and even "hear" music. The last one was ingeniously illustrated in several ways in the film, but the most memorable for me were the scenes in which Kiko was shown nailing pieces of wood to the walls of his room. It didn't really make much sense until he started playing the music and "listened" to the vibrations it made in his wood-covered space. Finally, I really appreciated the not-so-common perspective on the Philippines that the film shares with non-Filipinos. As I jokingly told the director, all those scenes in Baguio might just lead Canadians to think that we have winter in the Philippines. But more importantly, without denying the reality of poverty or corruption (there was a hint of bribery), the film presents the Philippines as a place where people speak English, not everyone lives in the slums or the beach, and not everything is political, violent or sexual, which is the image usually presented by Filipino films that make it to international festivals. If I have any complaints at all, it's about the subtitles, which were not always accurate or grammatically correct even when the dialogue was already in English. I also brought this up in connection with Kubrador and Twilight Dancers and it is understandable considering the constraints the filmmakers have to work with. But in this case, the title's translation is an added problem for me. Dinig sana kita is literally the Tagalog phrase for "I wish I could hear you," and I can understand that it isn't really catchy, but why not "If I could hear you"? "If I knew what you said" seems to imply that the film is about "knowing" and "saying," but it's really more about, at least to me, "hearing." For more information, as well as Twitter updates, see the official website and an interview with the director. I know that I just said that I'm "too busy to blog," but this is too important not to blog. The letter below is self-explanatory. Its author is Atty. Vyva Aguirre, Dean, School of Library and Information Studies, University of the Philippines. This is in response to the many queries that I personally get concerning two issues which have been the subject of your own postings in filipinolibrarian.blogspot: (1) the CPE, and (2) who are qualified to take the licensure examinations for librarians. I thought that I might as well give my two-cents worth. There is much confusion regarding its nature as an obligation. My opinion is that it is only a "moral obligation" but not yet a "legal obligation". The mandatory character of the CPE was deleted by Congress from the new PRC law. It was not merely forgotten but was subjected to discussions on the floor. The fact that it no longer appears in the PRC law is an indication of legislative intent. The PRC as an agency of the Executive Branch cannot substitute its own judgment by a Resolution that effectively amends the law. That is why, the PRC resolution emphasized that CPE is (only) a "moral obligation". What, then, is the value of PRC's having constituted CPE Councils that accredit CPE providers and assign credit units to seminars, congresses and fora? There could be two benefits: The first is merely prospective – in the event that the PRC law is amended (which may or may not happen, sooner or later), the units earned could be considered "banked". For how long will these be considered "banked", we don't know. The second reason (which is only my opinion), is that it serves as BFL's way of monitoring the CPE activities of the professional associations, in compliance with our Code of Ethics. Personally, I am disheartened by the attitude of some librarians who run after "credit points" instead of considering the value of topics offered by the seminars and workshops that they want to attend. This, to me, is an unprofessional attitude, and my main objection to mandatory CPE. 3) Any masteral degree with concentration in Library Science. From the abovequoted provision, it is beyond question that graduates of BLIS and MLIS are qualified to take the Board Exams. As for the enumerations under Sec.15 (c), holders of these degrees may be allowed to qualify "within five (5) years from the effectivity of this Act". The "five years" ended in February of 2009. The PRC Legal Department has issued an opinion saying that this 5-year period can no longer be extended to allow holders of degrees enumerated in said Sec.15 (c) to take the exam in November of this year. Henceforth, based on my reading of the law, backed by the opinion of the PRC's Legal Department, only the following may take the licensure examinations: BLIS graduates, MLIS graduates, and repeaters or those who fall under the enumeration of the proviso (BSE LS, MALS, MALIS, etc) who had taken the examinations within the five-year period but did not pass. Thank you, Von, for your interest in issues that affect librarians and the profession. No need to worry. This has happened before. See "Too Busy to Blog" and "Too Busy to Blog... Again." "It's hip to be a librarian"
Librarians are old-fashioned boring nerds, unapproachable old maids or widowers -- not! Today's new breed of librarians have broken free from those dank and dusty school libraries, the century-old stereotypes, and have evolved into dynamic, progressive and most-sought after career people employed by large corporations, IT companies, hospitals and law firms. Does your library "provide free public access to information through the use of computers and the Internet"? If so, you may want to apply for the Bill & Melinda Gates Foundation’s annual Access to Learning Award (ATLA), which gives US$1 million to the awardee. Previous winners include libraries from Colombia, Mexico and Nepal. Please note that "organizations [not just libraries] that reach out to underserved groups, such as poor or disabled patrons, or those from minority communities" are encouraged to apply, that the award is given to "recognize services that are currently being provided" (i.e., not for proposed projects or activities) and that the deadline is 31 October 2009. A grant writing workshop specifically designed for those who intend to apply for the ATLA will be held at the Ortigas Foundation Library, 10 September 2009, 9:30am–5:00pm. John Silva will conduct the workshop. Registration fee is P7,500. Adapted from my 2006 post on "One Million Dollars for Your Library." Vilma Santos plays a stereotypical librarian in In My Life, which will begin its run in the Philippines on September 16. Santos describes her character as "“irascible and rather comic—isang masungit na librarian who feels na hindi siya mahal ng mundo [a cranky librarian who feels the world doesn't love her]." Shirley, the character played by Santos, apparently has two distinct facets – the traditional and old-fashioned librarian and the modern and transformed one in New York City. According to Santos, "The old Shirley doesn’t like computers. She doesn’t even like her library computerized." Her eventual transformation, courtesy of her gay son and his partner, seems to imply a correlation between her acceptance of her son's lifestyle and the new technology she learns to embrace. I will reserve judgment on the impact her portrayal might have on the image of Filipino librarians until after I've seen the movie, but the trailer below looks very promising. BLIS, MLIS and "Equivalent" Degrees? It seems that the answer to my question on whether "PRC is Allowing Non-BLIS, Non-MLIS to Take Exam?" is No. Then again, it looks like there is still some wiggle room. According to R.A. 9246, an applicant must be "a graduate of Bachelor’s degree in Library Science and Information Science (BLIS) [or] a holder of a master’s degree in Library and Information Science (MLIS)." The reply below, however, indicates that "equivalent" degrees, such as BSLS, MSLS, MALIS, and MALS are acceptable. If this is true, then it still looks like a back door to me because the law clearly states, for example, that degree holders in "Master of Arts in Library Science or Library and Information Science" (MALS and MALIS, respectively) can only take the exam within five years of the law's date of effectivity. Thank you for helping us answer queries about the licensure examination for librarians. Yes you are correct, that while we have issued guidelines in accepting and processing of applications to the PRC and the regional offices, all applications received must be forwarded to us for further evaluation and scrutiny. Hence, the final approval of who are qualified to take the board exam rests with the board and all applications whether qualified or not will bear the signatures of the three members to attest that they have really seen the application. As of this writing, we have not approved of any application because nothing has been forwarded to us yet. Now, who may qualify to take the licensure examination for librarians on November 10-11, 2009? 3. takers who failed in the previous years examination for librarians. Candidates may take the test in Baguio City, Cebu City, Davao City, Legaspi City, Manila or Zamboanga City provided that there are at least 50 takers. We also regret to announce that we failed to get the extension needed to enable new graduates of BSE, BSED and AB majors in LIS to take the licensure examination at least for the last time. Thank you Angela and hoping that this will end all the confusions. On August 19, the birth of Manuel L. Quezon—former President of the Philippines and acknowledged "Father of the National Language"—will once again be remembered in "Buwan ng Wika" celebrations throughout the country, but this time with the added dimension that this year's theme is "Wikang Filipino: Mula Baler Hanggang Buong Pilipinas" (The Filipino Language: From Baler to the Rest of the Philippines). Baler was Quezon's birth place. The speech below is my translation of excerpts from "Manuel Quezon on the National Language." It is being shared here for the benefit of students looking for a speech to recite in class. It may not be reproduced, whether in print or online, without my permission. Hindi ko nais na Kastila o Ingles ang maging wika ng Pamahalaan. Kailangan magkaroon ng sariling wika ang Pilipinas, isang wikang nakabatay sa isa sa mga katutubong wika. Nagmula ang karamihan ng mga suliranin o pagkukulang na kasalukuyang nararanasan dito sa kawalan ng ating sariling wikang pambansa. Ang pagnanais gayahin ang lahat ng kilos banyaga kahit hindi alam kung ito'y mabuti o masama ay dahil sa isang kahinaan—ang kakulangan ng isang tunay na pambansang kamalayan. Hindi maaring magkaroon ng pambansang kamalayan kung saan walang wikang ginagamit ng lahat. Naunawaan ko lamang kung gaano kahirap ang kakulangan ng wikang pambansa noong naging Pangulo ako. Ako ang Pangulo ng Pilipinas; ako ang kumakatawan sa bayang Pilipinas at sa mga Pilipino. Ngunit kapag ako'y naglalakbay sa mga lalawigan at kinakausap ang aking mga kapwa mamamayan, kailangan ko ng tagapagsalin. Nakakahiya, hindi ba? Sang-ayon ako sa patuloy na pagtuturo sa Ingles sa mga paaralan at itataguyod ko rin ang pagpapatuloy ng Kastila. Subalit dumating na ang panahon upang magkaroon tayo ng isang wikang pambansa. Ang suliranin ay gusto ng mga Ilokano na Ilokano ang wikang pambansa; ang mga Tagalog, Tagalog; ang mga Bisaya, Bisaya. Ako ay Tagalog. Kung sasabihin ng mga dalubhasa sa iba't-ibang wikang Pilipino na Mangyan ang katutubong wikang pinakamainam gamitin, Mangyan ang tatangkilikin ko higit sa ibang wika. Tagalog ang ginagamit namin sa pamilya. Pero handa akong mag-aral ng Ilokano, Bisaya o anupamang ibang katutubong wika para lamang magkaroon tayo ng wikang ginagamit ng lahat. Added video above. For more videos, see stylegigg's YouTube Channel. "A Bibliographical Memorial: Ronnie Alejandro (1941-2009)"
We had a great library, with an even greater librarian, Reynaldo Alejandro, who eventually left for New York but still comes home regularly and is known for his wonderful books about the Philippines. The priests fully supported him in developing an excellent library, without censorship. Much of my curiosity about the world, which I try to share through this column, was nurtured in Mr. Alejandro’s library. When a book writer dies, he isn’t really dead. Books live forever, and so do their authors. Ronnie Alejandro left us 38 books and two works in progress. Now we know why he was always in a hurry to finish a book. Time is fleeting but words are permanent. Ronnie is the compleat librarian who collects and collects but cannot seem to throw away anything. What he treasures most of all are memories of good times and good friends, of which he must have a world record. Everyone loves Ronnie and he knows it deep in his heart. I think it's amazing that even though he was not a librarian for very long, the fact that at least two individuals have fond memories of him as a school librarian indicates that he was more than just a keeper of the books, but a librarian who contributed to the development of the students who used the books. Thanks to Eloisa Borah for the heads up. PRC is Allowing Non-BLIS, Non-MLIS to Take Exam? ng try ako apply dito sa PRC in my place last july , eventough i knew already that non BLIS can no longer take the exam...I just submited all the requirements together with other docs.Tinangap nila application ko pero FOR THE BOARD pa nga lang...i hope, i just really hope pwede pa...but i didnt expect that PRC didnt knew about it.zipped nalang mouth ko..
That's a comment left on "Non-BLIS, Non-MLIS Can't Take Exam — PRC." The law (R.A. 9246) is clear, only graduates with degrees in library and information science, whether bachelor’s (BLIS) or master’s (MLIS), should be taking the exam this November 2009. The recent PRC legal opinion on the request to extend the deadline affirms this. It seems, however, that a back door is still open. 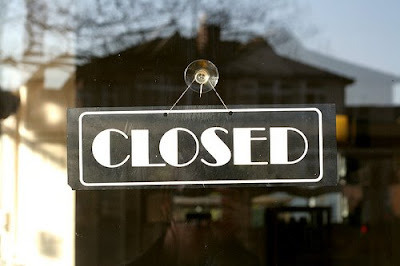 IF it is still open, then those who missed passing through the front door have another chance. But I would suggest that these graduates also work on getting their BLIS or MLIS. It would be interesting to find out if their respective schools will be willing to shoulder the tuition of those who were accepted into their programs even though the administrators were aware that any graduates would be unable to take the board exam. I also hope there are no more prospective librarians currently enrolled in non-BLIS and non-MLIS programs. I just thought I'd share some of the library stuff I've received in the past few years. There's the "Love Your Librarian" button, which I got from the Office Movers booth at SLA 2005, and UPLSAA's "100 Percent Pinoy Librarian" button, which Elvie Lapuz gave me the last time I was in Manila. Both are now permanently pinned to my cap. And then there's the "Librarians Rock" shirt, which I was given at the Plunkett Research booth at SLA 2009, which I still haven't blogged here. Why did I feel the need to post this? Well, aside from hoping some of my readers turn green with envy (LOL! ), I thought it would be another way of answering a recent comment on one of my photos in Facebook: "your being a librarian is by chance or by choice?kasi parang di yun ang choice mo eh.. [it seems it wasn't your choice.]" This was my initial reply: "I am a librarian by choice and proud to be one." I first thought of posting this poem a few years ago because of a wrongly remembered first line, which I thought was "Pinag-aaralan na naman nila kami" (They're studying us again), an appropriate reminder for PhD students like me and other researchers that conducting research involving real people is very different from working with test tubes and mice. The actual first line is a bit different, evoking both academic and colloquial readings. But the fact that the text is laid out on the page in the shape of a microscope in Albert Alejo's Sanayan Lang ang Pagpatay (1993) suggests that what I remembered was not too far off the mark. I cannot, unfortunately, reproduce the poem's format in this blog. Anyway, I've been getting requests for pieces that can be used in group oratorical contests (or timpalak sabayang bigkas, in Tagalog) usually held during Buwan ng Wika, so here's a poem whose title is difficult to translate literally, but may be understood as the "complaint of the masses." Pinag-uusapan na naman nila kami. Pinaglalakuan ng sanrekwang mga gimik. Pag-iisipan na naman nila kami. Tambakan ng pinagsawaang mga gamit. Sangkalan ng kung anu-anong mga project. Basurahan ng pulang aklat, banal na aklat, lihim na aklat. Puting bakod. Parada sa airport. Ahas at gamot. Isa ka pa rin ba sa kanila? The Tagalog used is not only difficult to pronounce, it is also not easily understood. Some terms will not not be found in dictionaries or the Internet, and may require students to consult a history book or someone who lived in Manila during the 70s and 80s. The speech is reproduced here, with the author's permission, so that it may be used by students. The speech, however, may not be reproduced, whether in print or online, without the author's consent.